Happy Monday! I know, those probably aren’t the words that pop into your head when Monday morning rolls around. It’s hard to get excited about Monday when the weekend was so perfect and the next weekend is a long 5 days away. To easy the blow of Monday being here yet again and to make things a little brighter I made this Sweet Berry Bruschetta! Everything about this bruschetta will help bring a smile to your face. 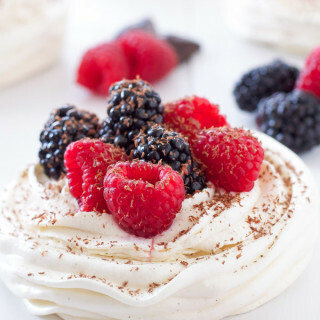 It’s sweet, it has berries, it’s carbolicious, it’s easy to make, and even though it’s technically a dessert you could totally eat it for brunch! See you’re starting to smile now, all I have to say is dessert for breakfast and a little twinkle pops into everyone’s eyes! Bruschetta is nothing new to most people and I have yet to meet someone who doesn’t like it. Sweet bruschetta, a.k.a dessert bruschetta is a little less common. I’m not sure why I never thought to make a sweet bruschetta until now, it’s a genius idea and one that anyone can throw together in a matter of minutes. With Easter just a couple weeks away I’ve started thinking about brunch, dinner, and of course dessert. When it comes to food, Easter is like the spring version of Thanksgiving, the food is plentiful. 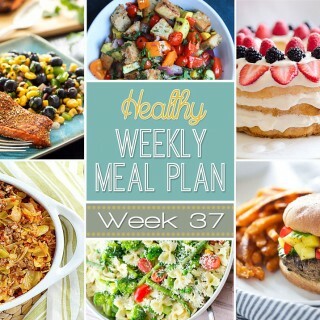 I knew with all the egg dishes, pastries, ham, potatoes, salads, and rolls that would be passed around throughout the day that people may not have much room left for dessert. I of course am not one of these people and will find a way to get some dessert stuffed in me even if I’m about to break the zipper on my pants. 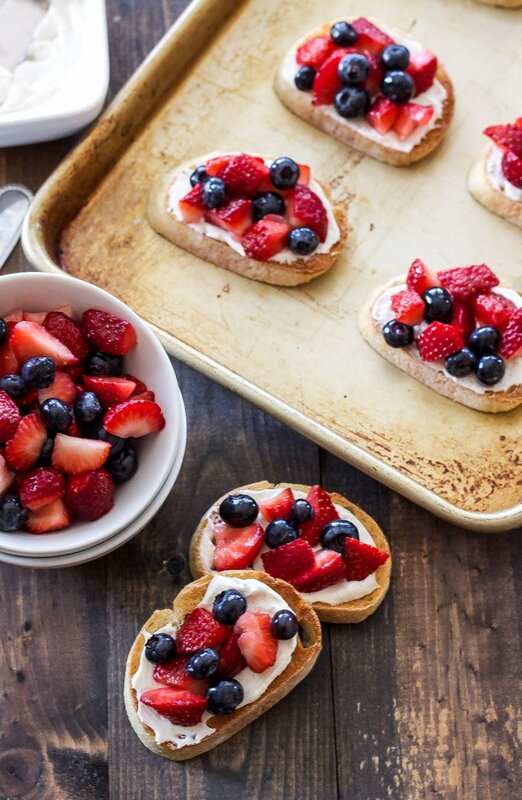 This sweet berry bruschetta is the answer to your dessert dilemma. It’s bite-sized, fresh, and light, but you still get that satisfying sweet treat to finish off the meal. 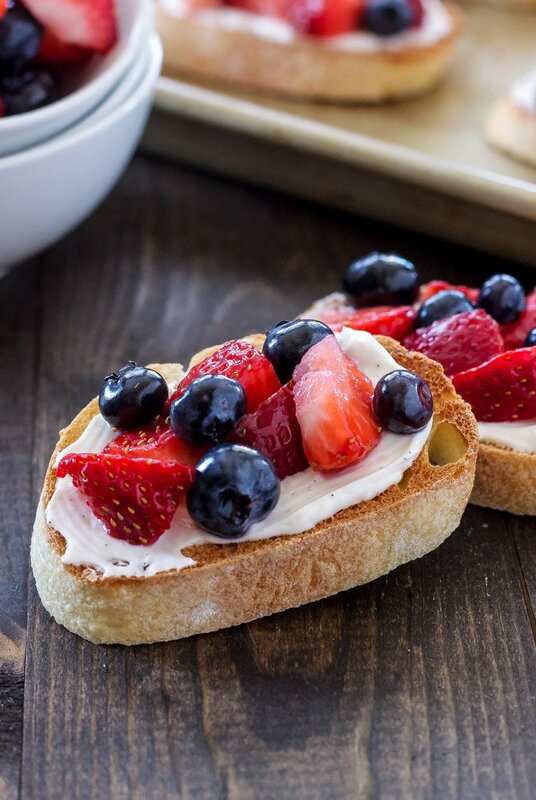 The bruschetta is simply toasted slices of baguette slathered with a delicious vanilla cream cheese/Greek yogurt spread, then topped with fresh berries that are sweetened with a little sugar. You can make everything in advance then assemble it just before serving so that the bread stays nice and crisp. The bruschetta isn’t too sweet and the flavors are ones that most people enjoy. 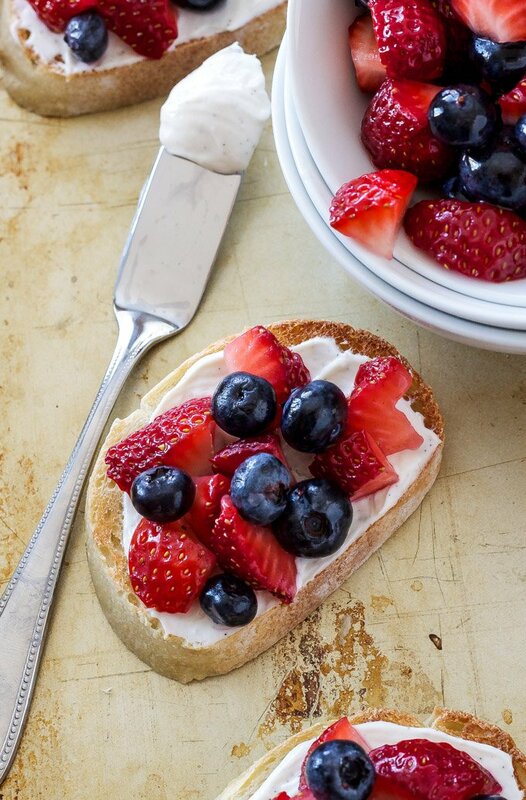 Be sure to include this light and healthier sweet berry bruschetta to your next brunch or dessert! 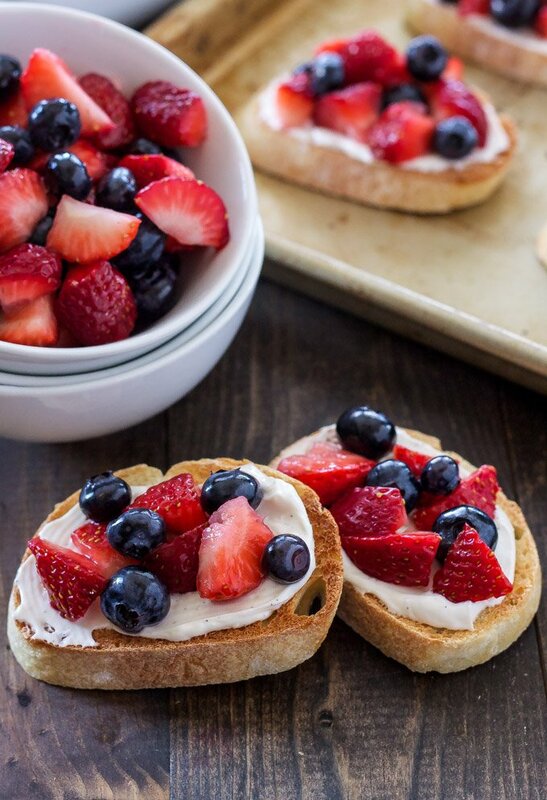 Toasted baguette slices topped with a vanilla cream cheese spread and sweet berries! Place the slices of baguette on a sheet tray and stick them under the broiler until golden brown, watch them closely so they don't burn. 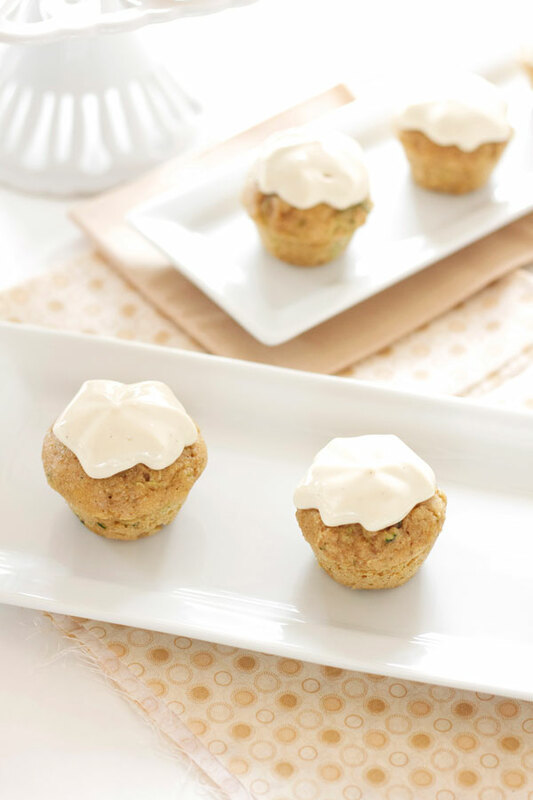 In the bowl of a stand mixer or with a hand mixer, whip together the cream cheese, Greek yogurt, 1/2 tablespoon of sugar, and vanilla until smooth, about 3-4 minutes. In a small bowl combine the diced strawberries, blueberries, and teaspoon of sugar, stirring until the berries are coated in the sugar. Let the berries sit for about 5 minutes until their juices start to come out. Spread the vanilla cream cheese mixture on top of the slices of toasted baguette then top each baguette slice with some of the berries. Assemble the bruschetta just before serving to ensure that the baguette stays crisp. Thanks Zainab! I can't get enough berries right now, so good! These are screaming Spring to me! Loving this bruschetta! Thanks Anna! Nothing screams spring like a pile of sweet juicy berries! These are GORGEOUS! 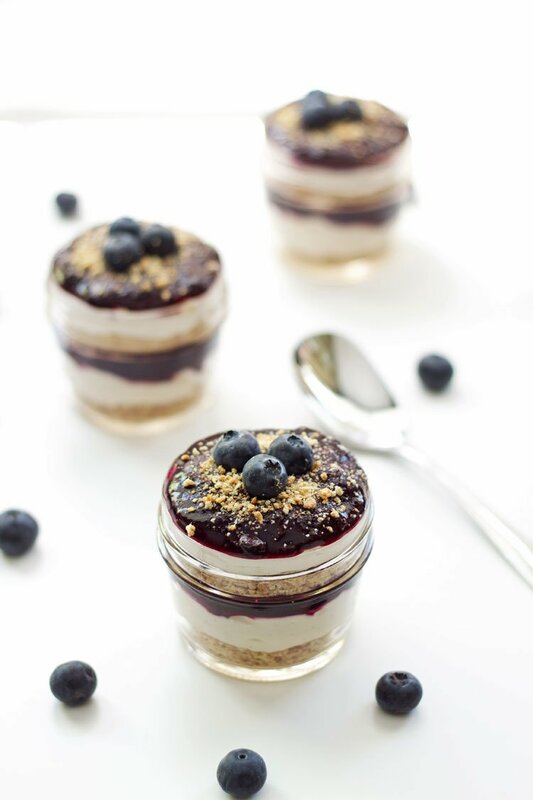 And the perfect dessert to make you feel like you're indulging! Thanks Nicole! 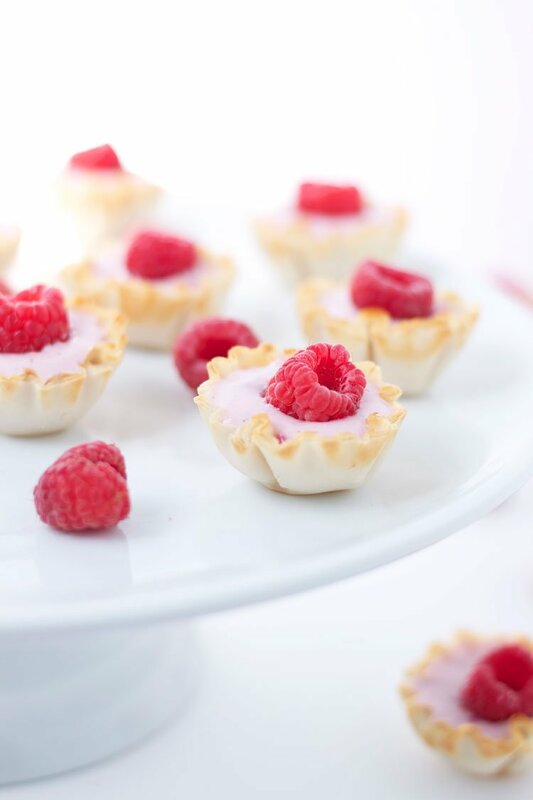 I can't get enough of berry desserts right now! 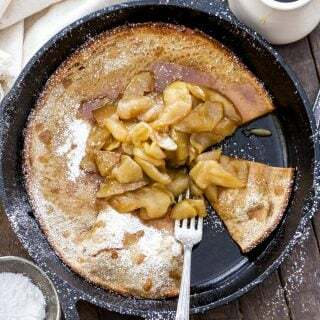 Simple, easy and looks absolutely delicious. I love how pretty these are! Thanks so much Joanie! I'm all about easy!